Bupleurum and Peony Combination and Bupleurum and Dang Gui Combination are the primary formulations for women. Bupleurum and Peony is one of the most widely used formulations ever created by a human being. It is used primarily by women to regulate their hormones and establish physiological balance. It has the additional function of helping to establish emotional balance, when hormone irregularities have caused an imbalance. 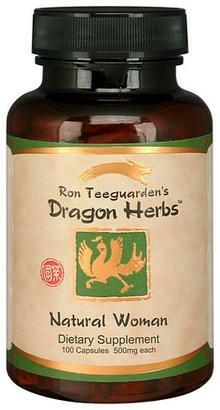 It is used to treat irregular menstruation and many other female problems. Its main greatness lies in its ability to regulate Liver functions and to build blood. a weak Liver causes many of the common problems women experience, including premenstrual syndrome (PMS) and menopausal distress. This great formulation relieves Liver stagnation, allowing energy to flow freely throughout the body. This product can be used for excessive emotionalism, mental instability, irritability, hypochondria, fatigue and lack of strength. In addition, it dispels fire, which causes feverishness, hot flashes, flushing and thirst. It has been called "Man's best friend." Bupleurum and Peony supports a normal, healthy attitude during PMS. It has been used to relieve mild pain and discomfort. It can help quell mild nervous irritability, stress and frustration associated with the premenstrual and menstrual period. In addition to building blood, Bupleurum and Peony Combination also warms the Kidney. By warming the Kidney function, this formula tends to improve female libido and fertility, metabolism and vitality. *Bupleurum and Peony Combination and Bupleurum and Dang Gui Combination are the primary formulations for women who suffer from hormonal imbalances resulting in syndromes such as pre-menstrual syndrome (PMS) and menopausal distress. Bupleurum root, dang gui root, dried ginger rhizome, chinese white peony root, bai-zhu atractylodes rhizome, poria sclerotium, tree peony root bark, chinese licorice root, chinese mint leaf, gardenia fruit.